Welcome all Blog Hoppers from Quilting Gallery! If this is your first time here please take a few moments to check out my tutorials section and if you see something you like I would love it if you would follow my blog (there are lots of ways to do so in my sidebar!). Do you like fresh modern fabrics? Do you like excellent customer service? How about just a little fabric eye candy? If so, then The Intrepid Thread is the fabric shop for you! Julie recently launched her new website and there are so many features that I love that I don’t really know where to start. The shop is split into 8 sections: Coming Soon, Fabrics by Collection, Fabrics by Designer, Fabrics by Manufacturer, Just Arrived, Patterns and Notions, Pre-Cuts and Bundles, and lastly but by no means least – Sale Fabrics. To celebrate the Grand Opening of the new website Julie is offering a 10% off coupon GRNDOPN10 through March 22nd. Julie started her own business because she wanted to create a fabric shopping experience that encompassed superior customer service and offered the top of the line modern fabrics. She has accomplished all of that and more. She has a reputation for her impeccable taste in fabrics and she is more than happy to put together a custom bundle and help customers choose coordinating fabrics. She did this for me recently, helping me pick out fabrics for my month in Sew Bee Blissful – she put a custom bundle together of Ty Pennington’s Impressions Line. How does a Fat Quarter Bundle of Desert Daydreams in Santa Fe Sky sound?!? This is the exact same bundle I used when I made my Desert Daydreams Apron that went out in The Intrepid Thread newsletter last night – now you can make one too if you like. Of course you can absolutely make something else too if you are the big winner! UPDATED: for Friday March 16, 2012 – Desert Daydreams is on sale as a daily deal over at Intrepid Thread – check the sale section daily for more deals! Make sure you head over to Quilting Gallery for more fun giveaways! This giveaway will be open through March 23rd at 9pm PST. I will announce the winner on March 24th. Good luck everyone and happy day dreaming over future fabric purchases! This entry was posted in Giveaway, Intrepid Thread, Uncategorized. Bookmark the permalink. I like Karma Baby, in coming soon area of Intrepid Thread website. I noticed that Flock is on the coming soon page; but, it’s already here (there)! I’m very tempted to purchase some of that fabric. Also, I’m curious about the Flying Free fabrics. I also ADORE the Alpine Wonderland and think the Cocoon would be perfect to make something for my mom! I’m looking forward to Lu Summer’s first fabric line! Hooray! She will be carrying Peak Hour! I am going to try and make big boy quilts from that line, so cute! I am also in love with Flying Free and Wrenly Christmas (LOVE Valori Wells). Flock is my favorite in the Coming Soon lines. 🙂 Thanks for the chance! I like Sew BitterSweet Designs on FB. I’m really looking forward to Summersville! I can’t wait for Denyse Schimdt FMF. I missed it the first time. I really like Wrenly Christmas. Thanks for the giveaway chance. I LIKED Sew BitterSweet on FB. Thanks for the giveaway chance. i liked sew bittersweet on facebook! yay! Like the quilt blocks and the peak hour lines. Very nice! Thanks for the giveaway. I think the Flying Free collection looks fun. Thanks for the chance to win that wonderful candy! My favorite coming soon fabric is Vintage Modern. Thanks for the giveaway! I am a new follower and I have liked you on facebook. I am looking forward to Nightshade the absolute most on the Intrepid Thread’s site. Picadilly Circle is my fav coming soon line! I Like Sew BitterSweet Designs on Facebook! I like Sew Bittersweet on FB! Cosmos is quite pretty and is tied with Vintage Modern as my current favorite. I’ve followed Intrepid Thread blog for a while and it is wonderful that Julie is sponsoring this grand opening giveaway. Oh I LOVE Wrenly Christmas! I love a bunch of the upcoming lines, but those swimsuits on the clothesline of Lucy’s Crab Shack are priceless!!!! I adore Julie’s customer service and am so happy to see her shop expand to its own website! I really love the Lucy’s Crab Shack line – definitely some prints in there that I’ll be picking up! I’m a facebook fan (Stephanie Mabry). Thanks for the chances to win – good luck, everyone! And I am a huge fan and follower of both you and Intrepid Thread. I liked your blog on FB as Margaret (and Marcia) alternate email mlwright29(at)hotmail(dot)com. My mother and I share a FB account. I like Peak Hour and Alpine Wonderland. Love Kharma Baby and liked you on facebook. I am digging Lucy’s Crab Shack. I also like Flying Free and Kharma Baby…and Peak Hour and Lucy’s Crab Shack! I posted on fb about the giveaway – lisa sauter conant. Thanks! Ooh, I hadn’t seen Kharma Baby. Love it! But with two boys, I’m loving Peak Hour. Love the cars. Besides Flea Market Fancy, which is coming very soon, I can’t wait for Summersville. I think I’m following your blog via Networked Blogs–I can’t tell. I like the butterflies in Cocoon. Lots of possibilities with that one! Just hopped over to FB and liked you as Mountain Quiltworks. I am loving the Cocoon that is coming out. I love the Cocoon line, but I adore all the rest…chuckle…everything is beautiful. Thanks for the opportunity! Definitely Wrenly Christmas. So cute. The desert Daydreams are so pretty! Melissa, I do follow you blog by Bloglovin, I´m a no twitter and FB. My favorite “coming soon” is cocoon – I love butterflies! The Coccoon collection is full of beautiful designs, and the colors are wonderful. Ooo, i like Alpine Wonderland! I already like you on Facebook, Melissa — in fact, I like you wherever you are found! Love the new website, btw! I like Piccadilly Circle. thanks for the chance! Wrenly Christmas coming in May looks quite fun! Thanks for the chance to win. I’m loving Alpine Wonderland. Thanks for the chance to win! Love “Apple of my Eye”! ALREADY ‘LIKE’ SEW BITTER SWEET ON FB ! 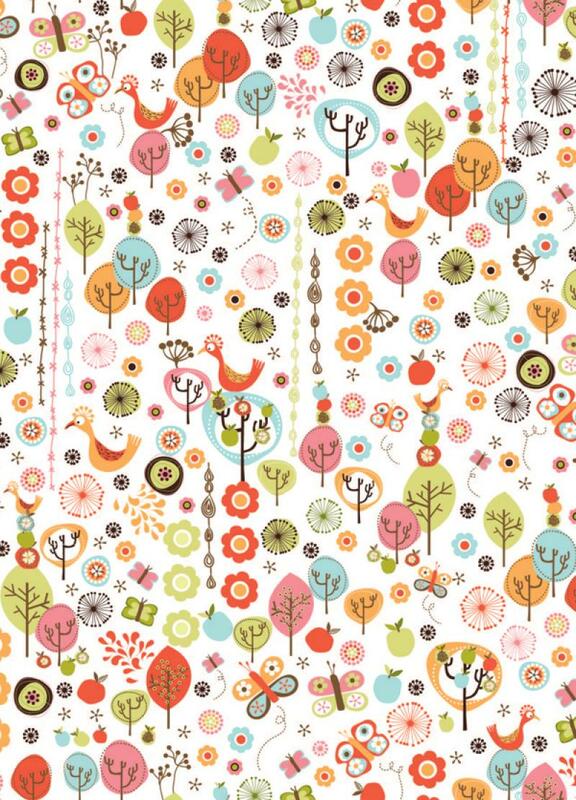 The new website is fantastic and I love Julie’s taste in fabrics! I’m particularly excited for the “Wrenly Christmas” line. The “wildfield” fabric has been catching my eye for a long time in the original Wrenly line, and I think it’s even more beautiful in the Christmas colors! I couldn’t pick just one! But, since technically one is already in the shop–FLEA MARKET FANCY!!!! I guess I am only picking one– Vintage Modern by Moda. Shared Giveaway on FB ! I can’t wait for Flea Market Fancy and Vintage Modern to come out. They both look beautiful. I love Vintage Modern by Moda. I liked SewBitter Sweet on Facebook. I believe I already “Like” you on Facebook. The “coming soon” fabric I am waiting for is Cocoon Large Butterfly, especially the coral color. Wow! I like you on Facebook. Thanks for the chance to win! Can I only choose 1 favorite. Ah shucks. Apple of My Eye looks cute with the polka dots and love the floral and the petal fabric ones as well in that line. loving the look of Vintage Modern in ‘coming soon.’ thanks! I love everything about Julie’s shop especially Julie, she is the best. If you can’t find it, just ask, she works so hard to please us all. I am nuts about “Lucy’s Crab Shack” Reminds me of my trips to the far south of the USA, Key West!!! I do follow your on facebook. Gotta LOVE the Lucy’s Crab Shack!!! I like the Peak Hour line! I’m looking forward to Peak Hour! i like the Kharma Baby line! Alpine wonderland coming in May is what I look forward to. Lovin’ Lucy’s Crab Shack for summer. Wouldn’t some of that make the cutest beach bag? Already like you on FB ! I love Alpine Wonderland. Will have to get me some of that. Thanks for the giveaway! Ahhhhh!! I can’t wait for Alpine Wonderland to come out. So cute. I’m in ‘Like’ with you on FB. I am counting FMF as ‘here’, so Lucy’s Crab Shack is a winner! Vintage Modern has me drooling, but I’d still love to win this bundle! Julie has the best fabrics! I’m lovin’ Flea Market Fancy!!! Thanks for the chance to win! I can’t resist Lucy’s Crab Shack & Vintage Modern. Thanks for the giveaway!! Vintage Modern is so pretty. It is my favorite, though it is hard to pick just one! I think the FLEA MARKET FANCY is my favorite ; If I keep looking I’ll change my mind or add more favorites !! I already follow Sew Bitterness on facebook !!!! Melissa is one of my new online friends ! I follow Sweet Bitter Design on facebook! I facebooked about the giveaway ! I just love the Wrenly Christmas collection. Very nice patterns and colors. I’m looking forward to the Cocoon line. Thanks. I ‘Liked’ you on FB – thanks. I like Sew Bitter Sweet Designs on facebook. Vintage Modern is my favorite coming soon fabric line. I like SewBitterSweet on fb. I’m absolutely in love with the Nightshade line. WOW what a great giveaway. I really loved the upcoming Flock release. Nice……. I am a new follower. Have LikeSewBittersweet Designs on FB. I’m already a follower, and I am most looking forward to Vintage Modern – it’s totally my style! I think Summersville is my favorite coming soon at Intrepid Thread. I am also a follower by subscription. Thanks for chance to win! Eu gosto de moderno vintage.obrigada. I like the looks of Vintage Modern. Thanks for the chance to win some great fabric. I have been waiting for Vintage Modern. Thanks for the giveaway. Ooooh Oooooh Piccadilly Circle at the Intrepdi website! I’m thinking Flying Free. Gorgeous. Great giveaway! I already like you on FB Melissa! I love the Apple of my Eye! Beautiful colors and prints! Intrepid Thread has such great fabrics! I love the range Apple of My Eye. I liked you on face book!!! My favorite is Flea Market Fancy.. I like the Wrenly Christmas and I’m already a follower. I like SBSD on FB! Thanks for the chance to win!! Summersville looks yummy to me! I think Quilt Blocks looks neat! 🙂 Thanks for the chance to win! I LOVE Apple of My Eye. I also really like Flying Free. Vintage Modern is on my Wish List. I am already your follower. I’m hanging out for Flea Market fancy, so excited! Thanks for the lovely giveaway. Oooh, Wrenly Christmas! I’ll bet that’s beautiful. I subscribed by email since GFC is gone. I hope that counts. All of the fabrics are beautiful. Thank you for the contest. In the coming soon section…Guising is adorable!! I like Nightshade – very Steampunk! That Cocoon looks absolutely gorgeous! I am saving my crafting allowance until it is out so I can buy some! Oh my gosh, I am already on the email notification for Alpine Wonderland but now I’ve discovered Summersville! What’s a girl to do? I like the Vintage Modern line. It looks like there is a lot of great fabric being released this spring. I liked you on FB. I am a follower. I receive your updates by email. I love Bonnie & Camille’s Vintage Modern! love the nightshade collection- tula pink is so wild! like sew bittersweet designs on FB! My favorite is Piccadilly Circle – Can’t wait to get it. I think Peak Hour looks pretty cool. I hit the LIKE button for Sew BitterSweet on FB months ago. I added you to the favorites on my page for OleFrogEyes! Thanks for the chance to win! I also posted your giveaway on my page! Ooh beautiful fabric. I’ve been so far behind all day that I haven’t had a chance to read my newsletter but I remember you saying earlier this week to watch for that with your apron being in there. The coming soon fabric I look forward to is Vintage Modern. LOVE that one. I like Cocoon. I just love butterflies. I am drawn to Piccadilly Circle b/c I love the colors of aqua/green/gold & b/c I like the print fabrics. I clicked on the like button for Bitter Sweet Designs Face Book site. Actually, I liked all of them. If I had to pick one, it would be Vintage Modern. Can’t wait for Summersville and Flea Market Fancy! I LOVE the Flying Free collection…. I really like summersville. So cute. I noticed that the Intrepid Thread will send an email reminding when items change from “Coming Soon” to “Here at Last!”. I love that! I follow you by email & my favorite is Flea Market Fancy. Finger crossed..
And in the “coming soon” section, I like Flea Market Fancy the best. I have Liked you on Facebook, but can’t seem to follow you any other way… computers! I’ve been longing for A Walk in the Woods, but then saw that photo of the Flying free… adorable! Think I want some vintage modern, not sure yet! I will SO tweet about your giveaway! Oh, I cant wait for Cocoon. Those are such beauties!!! Thanks you for your generosity. What an awesome contest and I have to say I really like the Cocoon style. Very creative and colorful. Good luck to everyone…..
tweeted @ https://twitter.com/#!/artistryinfaux and liked on Facebook. Great website! I love the Lucy’s Crab Shack! I like Cocoon and Rhapsodia best in the Coming Soon section. I have already “Liked” u on facebook. Thank you for the giveaway. Love Santa Claus is coming to town! Love Christmas and everythhing about it. Thanks for the chance. I love Vintage Modern, I have been waiting for it since it was announced! I liked sew bitter sweet on facebook! My favorite Coming Soon fabric from their shop is Rhapsodia! I really like Apple of My Eye! Thanks for the chance to win that beautiful bundle of fabric. I love it’s fresh colors! I liked Sew Bitter Sweet on FB and left a comment. The more I see it, the better I liek it: Flea Market Fancy. I haven’t been around in the fabric world long enough to have known the 1st Flea Market Fancy line. I actually opened my first Twitter account today and tweeted about your giveaway, but can’t figure out how to find the link for the tweet. I must be having an off day…I’m usually fairly bright. LOL! Oh well. I really like Flying Free! Sew cute! I like Apple of my Eye. Looks fun and summery. I love Wrenly Christmas……..especially since it’s not overly christmas’y. could use anytime………those swirls! thanks for a chance to win. and of course, I like you on Facebook!! I liked Sew BitterSweet Designs on facebook. Thanks for the chance to win. My favorite Peak Hour from Intrepid Threads would make a wonderful quilt for my great-nephew. Thanks for the giveaway. I love Apple of my Eye. I like the Peak hour line… Thanks for the chance! Ooh, the Nightshade line is going to be awesome! Ooooo…I like the Summersville AND the Vintage Modern lines, a lot! Can’t wait for them to come out! Thanks for the fun giveaway! I left a comment on Facebook for you. 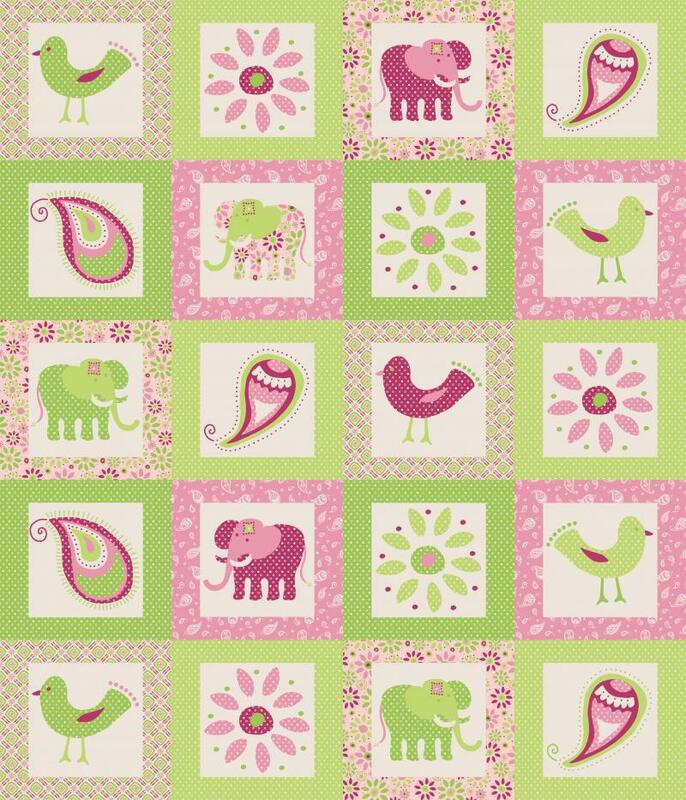 I am choosing Kharma Baby because this would make a nice child’s quilt. He/She could learn about the different animinals. This is a very rainy day and the Blog Hop Party is taking the blues away. A chance to win a bundle of Desert Daydreams in Santa Fe Sky to make an apron like you did is awesome. I liked your Facebook page. Looks like a fun page to follow. And I love Intrepid Threads Kharma Baby. Can’t wait to shop there, I do all my fabric shopping on line. Thanks for the give away and heads up to a new quilt shop. Happy St. Pat’s Day! My favorite coming soon line is Vintage Modern by Moda. Thanks for this generous giveaway! It’s fun to dream to projects for this fabric bundle. I’ve got my eye on the new Vintage Modern line coming up. Gorgeous! I like the soft calming tones of your giveaway fabric! I’m waiting for the “Quilt Blocks” collection coming that’s due in April. I can’t wait to work with the “Hexagon Dots” prints. I’d love for my bathroom to be tiled to look like the blue “Hexagon Dots in Marine” design. Then I’d sew up a matching curtain and embellish some towels!! I already LIKE / love Sew BitterSweet Designs on Facebook! I like both Summersville and Modern Vintage- both I think have enormous potential on their own and combined with completely different lines- and the colours are just yummy! I really like Kharma Baby in the pink line. I liked Sew Bittersweet on FB. I shared your giveaway on Facebook page. I hope the luck of the Irish is with me! I’m a big Tula Pink fan and her upcoming Nightshade collection looks very enticing! Soooo many awesome new-s coming to Intrepid Threads! I’ve been looking forward to Alpine Wonderland, but also found: Quilt Blocks, Sommersville, and Wrenly Christmas to add to my list, oh my! I follow Sew Bittersweet Designs on Facebook. Vintage Modern looks to be a lovely line. I like the Wrenly Christmas. I liked the Sew BitterSweet Designs page. I love Lucy’s Crab Shack Thanks for the chance to win. Quilt Blocks is great. I love the idea of making quilt blocks with fabric that has quilt block designs on it. I ‘like’ you on Facebook. Thank you Julie for the great giveaway! cannot wait for the quilt blocks line to come out! so excited and i love intrepid thread! I’d have to pick the flying free too as well as the Apple of my eye. Lovely fabrics! alpine wonderland and wrenly christmas both caught my eye immediately! AND I already like you on facebook! Yeah! I’m looking forward to Peak Hour. So cute for little boys! Lots of pretty fabric in the “coming soon” section of The Intrepid Thread. I’m loving the Modern Vintage. Thank you and Julie for an awesome giveaway and a chance to win. I Liked you on FB and left you some comment luv. Nightshade looks very intriguing! Must be for halloween. Thanks for the chance to win. I’m looking forward to Vintage Modern coming out in May – just might have to pick some up as a birthday present to me! I ‘liked” you on Facebook. I subscribe to you via email. Does that count as “following”? If so, I love the Apple of My Eye fabric! At IT I love the “Cocoon coming in April” – what a lucious collection! I love Apple of my Eye but then I saw Lucy’s crab shack. OMG love it! Thanks for this fabulous giveaway! Love Apple of My Eye! THank you! My favorite is the Lucy’s Crab Shack line. I liked the Vintage Modern. It was very pretty. I just love the Lucy’s Crab Shack. Sooo cute. I like Flea Maarket Fancy. thanks for the chance to win. Alpine wonderland is really adorable , thanks for the chance to win. 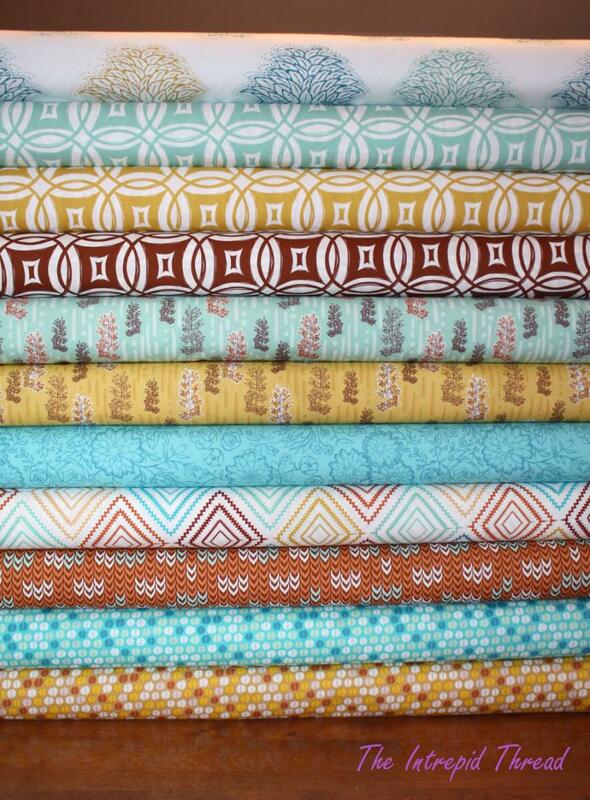 The Fat Quarter Bundle of Desert Daydreams in Santa Fe Sky is soooo Dreamy! Don’t you just love Lucy’s Crab Shack? Cocoon is my second favorite of the “coming soon” fabric lines. I just joined as a follower today as I just found you! I have tagged you on my favorite websites and hope to do some shopping with you soon. Thanaks so much for the giveaway! I love the Cocoon line- butterflies are one of my favorite things. Thanks for the opportunity to win your lovely desert fabrics. I already liked Sew bittersweet designs on Facebook. Thanks for participating in the blog hop. There are lots of great blogs to visit. I really like Rhapsodia – which is Coming in April. Thanks for the giveaway! I Liked Sew BitterSweet Designs on FB…. I really like the Guising fabric and the Nightshade too. Facebook says I like you and it is right! My favorite over on the Coming Soon page is Flock, but it’s already out, so of what’s not out yet, I love Peak Hour. My hubby would love for me to make him ANYTHING with any sort of newsprint in it, especially those yummy classified ads. Oh, how lovely!! I’m hanging out for Quilt Blocks and Vintage Modern! I like Lucys-Crab-Shack, it is very cute. I love Apple of My Eye— beautiful prints, colors and name! 🙂 Thank you for the chance to win!! I think the Peak Hour would be great for a little boy’s quilt. There are so many favorites that it is hard to choose, but my favorite, which is coming soon, is Wrenly Christmas. I really like the colors in this line. Thanks for a chance. I really would like to buy some of the Nightshade, Thank you for the chance to win such an amazing and generous giveaway. I love the fat quater bundle you have chosen. Someone is going to be very lucky. I can’t decide. there are so many wonderful lines, it is impossible to pick one fav…………. Wow, I want to have the whole line of Cocoon when it comes out. It is gorgeous. I love the colors of the fabric. Coming soon : I like Cocoon really has great colors. I went to Facebook and ‘liked’ you. Looking forward to the post. I visit FB every day. I went to Facebook and shared about this give away. Thanks for the chance for winning a beautiful set of fabrics. Really looking forward to the Lucy’s Crab Shack line!! My favorite is “Apple of My Eye”. It is so pretty and bright! My faves in the coming soon section are Vintage Modern, Lucy’s Crab Shack, Rhapsodia, Summersville. Vintage Modern is my favourite! Love Lucy’s Crab Shack prints — and it mentions Virginia Beach (my old home town)! My Favorite is Vintage Modern! Thanks for the chance to win!! I like Alpine Wonderland in the “coming soon” section. Thanks! I like Santa Claus os Coming to Town – wait Christmas in March?! Crazy! I am new follower on Facebook. I like Apple of my eye and Vintage modern. Apple of my Eye, caught my eye!! Im looking forward to Vintage Modern…loving the colourways!!! Nightshade is my favorite…ohgoodgolly it’s so cool! Cheers! Looking forward to Lucy’s Crab Shack! “like” Sew Bitter Sweet on Facebook! i’ll be happy to see Apple Of My Eye – Coming in April ! lots of possibilites in this collection. I love Vintage Modern! So excited about that line. Thanks for the giveaway! I like the Quilt Blocks – Magnolia Road in Marine. I am a new follower. Choosing one fabric line is hard but I think I would go with “apple of my eye”. I’m a follower and my favorite new line on Intrepid Thread’s shop is Quiltblock!! I’m loving the Vintage Modern line. How many lovely aprons & kitchen goodies could I make with all those beauties! Thanks for the giveaway. I already like Sew Bittersweet on Facebook. Been watching for a while! I’m excited for peak hour – will be perfect for something for my boys – esp the newspaper print with the vehicles. Really do love Lucy’s Crab Shack and all it’s reminders of summer! I just became a new follower via email. Oops! Just being a follower doesn’t count so please (please!) disregard my previous post. However, I checked out the Coming Soon page and I like Summersville and really like the Skandi and Town prints. Very cute! I just Liked Sew Bittersweet Designs on Facebook! I loved the Alpine Wonderland. It reminded me of the year and half I spent in Germany. Oh, yes, I have to agree with the Flying Free! It goes right along with a plan for an applique quilt that popped into my head this afternoon! But I also liked Guising, Cocoon, and Wrenly Christmas. So many choices! I follow by e-mail. My favourite fabric in the coming soon section is Karma Baby. I’m a follower through Blog Lovin’. Thanks for the chance to win. My favourite coming soon is flying free! I love the Rhapsodia line. Can’t wait for it to come out. I liked you on fb as freeindeed cyr and I joined the network…I hope that was the right place to become a follower? Lucy’s Crab Shack is my pick!! My favorite line is the Kharma Baby. My favorite so far is the Rhapsody line. i love the summersville. thanks for the giveaway. I really like Peak Hour, but I’m super excited for Vintage Modern to come out as well. Like the Kharma Baby line…we have our first grandbaby arriving any day now! Also liked Sew BitterSweet Designs on Facebook….thanks so much! Hi, I went to coming soon and I like red on white so I love Summersville. Thanks for a chance to win. Hi, I liked on FaceBook great giveaway. Hi, I left a comment on FaceBook about the Blog Hop. I really like Wrenly Christmas, the watercolor effects are soooo cool! Thanks for the great giveaway, awesome colors in the fabrics. Just came back from Arizona and it would be perfect made into a memento of my trip! Desert Daydreams in Santa Fe Sky! Cool fabric named after my favorite vacation ever! Thanks for the chance to win this amazing collection. hi i love the Rhapsodia line, thanks for the chance to win! I MUST HAVE Lucy’s Crab Shack, I’m in love so many cute prints, but the trunks and tops is my fav. Second pick was “Wrenly Christmas”. Wow, both fantastic collections. Favorite line is A Walk In The Woods. I like Vintage Modern, but I also like Flying Free. It reminds me of a swedish-style design. Love love love the halloween, guising one as we have 3 Halloween birthdays in my family! Found and liked you on FB! Love both sites…..they are clean but bright looking. Thanks for participating in the blog hop party. And thanks for the great prizes!